I watched the movie 42 last week. Watching this film – a story of baseball and of racism in the time of segregation – was very moving, but at times distressing. 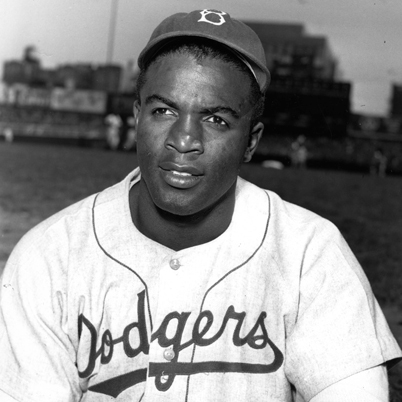 Jackie Robinson was a hero. We often hear about performing “acts of kindness” today. Jackie restrained himself and performed some “acts of silence” (according to the film) – and there are times when silence is the far greater challenge. Some had to be silent, but some needed (need) to be vocal and speak for those who could not. In watching any film or documentary that chronicles acts of courage, I try to remember that when they were being courageous, they did not know what we now know. We look back in hindsight, knowing how it all turned out – and it can diminish what happened. They could not know the future but only hope that their vision would be realized through what they did. When I watch a movie or read a book about people who have experienced great hardship, I know that I am (as yet) mostly untried. There are people who continue to face racism, people who live in countries with war all around them, those who face disease, many face religious persecution or the threat of death due to their faith, and some just struggle financially or emotionally in their day to day life. I am blessed to not have not had to deal with such trials. Not even close. Don’t get me wrong – I am not so brave that I am eager to grow as a person through great trials. My little moments of courage – while challenging for me personally – are relatively small. I can honor those who have lived through hardships, become inspired – and then challenge myself to live more courageously. Sometimes – as in this video linked – it just might be calmly speaking up for someone.